Okay, I know I'm late to the party, but Sean set up a shared calendar for us today. It's so cool! We can both add things to it and both see if from our computers or phones. Seeing as how I still write down everything in a traditional calendar, it's a big leap for me to have an electronic version. I think I'm going to like it! It's not just socks that catch this little girl's fancy! She loves hats almost as much. 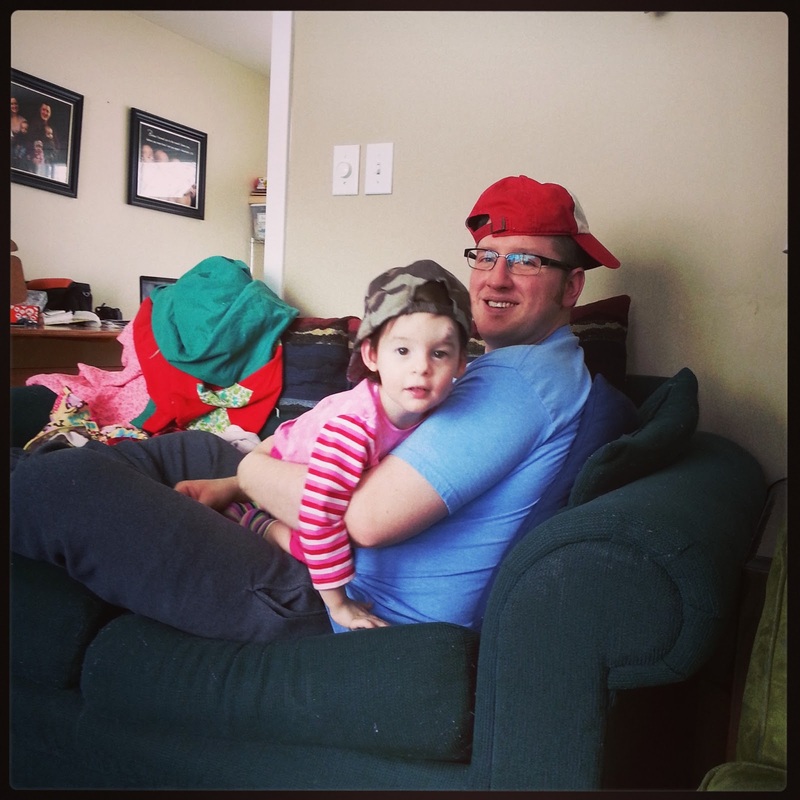 Even better if she can wear hers backwards with Daddy. Ellie might just turn out to be a tomboy! 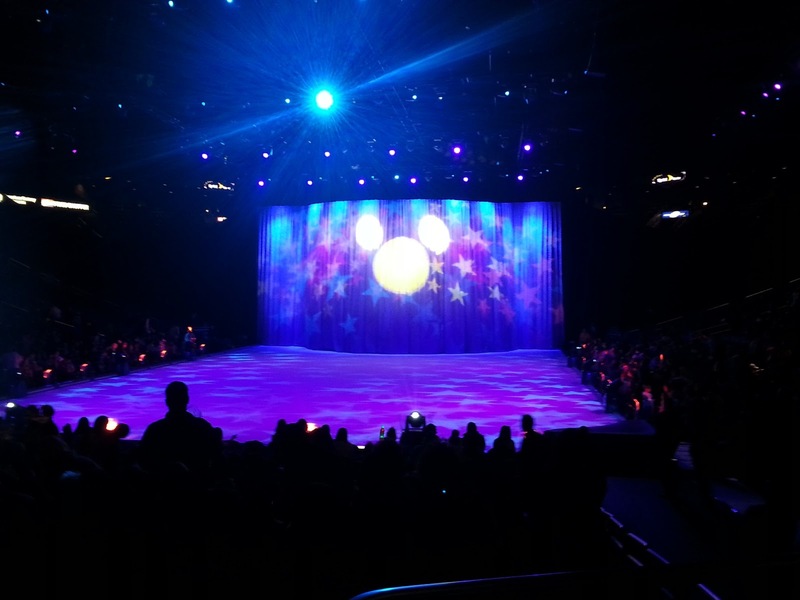 We went to Disney on Ice last night! It was totally fun! I won't say much more at this point, because I'm going to post pictures of it later. But let's just say, I'd like to go again next year! A friend asked me to create something special for her best friend's 50th birthday. This is what she decided on, and I think they came out pretty well! It was definitely a decadent dessert: Double Dark Chocolate Cupcakes with Chocolate Icing, topped with a fresh hand-dipped Chocolate Strawberry drizzled with White Chocolate. These are the most elegant cupcakes that I make. Yummy! I'm actually getting pretty excited about the four week challenge that is starting next week! We already have 21 players signed up and with a pot worth $525. Fun! Okay, not fun that I will most likely spend the first three days with a massive headache as I cut out sugar, but overall, I think it's going to be a lot more fun than losing weight by myself. If you haven't joined the game yet, you really should! That picture doesn't look to bad, what did you end up using for pictures, your phone? And you'll have to provide a future update on the Google calendar, I use a paper planner and am terrified to switch to an electronic one. Curious how you end up liking it. I used my phone. I couldn't believe that I brought my camera and not the memory card. Argh!! But at least that photo turned out well. I don't know if I'll ever be able to give up my paper calendar, but the idea of Sean and I both knowing each other's schedules is intriguing! I'll let you know what I think in a few weeks! So far, so good! Sean put a calendar on my phone that pulls in our Google calendar, plus I get an email just before anything that's scheduled! So awesome!